Kanupriya, a post-graduate student in zoology represents SFS, a Leftist organisation that claims it is not aligned with any political party. New Delhi: Panjab University’s long wait for a woman president is over. 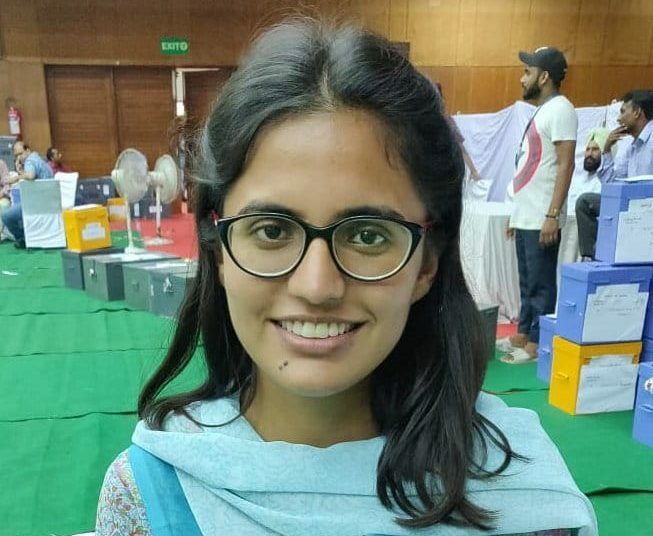 Kanupriya, candidate for Students for Society (SFS), a Leftist organisation unaligned to a full-scale political party, has been elected president of the Panjab University Central Student Council (PUCSC). This is the first time that a woman has been elected president of PUCSC. The margin of victory was 719 votes, with the RSS-affiliated ABVP’s Ashish Rana finishing second. The Akali Dal’s student wing SOI stood third, while the Congress-affiliated NSUI finished fourth. Kanupriya, 22, a post-graduate student of zoology, hails from Patti village in Tarn Taran district and has been at the university since 2014. She said it was not only a big day for her but for her organisation and the whole university. “The university strongly needed a change. There was a perception earlier that girls would not vote for a woman candidate, but this was not the case. Many girls encouraged me to go ahead with this election,” she told ThePrint. Students for Society was founded in 2010, and has contested four times — each time for the post of president only. SFS has, in the tradition of Leftist organisations, held demonstrations and organised street plays to raise awareness about issues. It has been a vocal critic of gender discrimination in the university’s rules, and has also hit out at the ‘gedi’ culture prevalent in Chandigarh and within the PU campus — where groups of boys roam around in cars and catcall at girls. The party’s manifesto has promised to “remove curfew timings for girls’ hostels”, “struggle for the regularisation of self-financed courses”, and “work harder on making the campus vehicle-free”. Next articleShivraj Singh Chouhan questions Congress’ new love for cows: What did you do in 50 years?